Some of the most important financial decisions that most individuals will make in their lifetime will involve their pension plan. You may be a self-employed, incorporated professional who has (or likely should have) an Individual Pension Plan. Or you may be an executive or individual working for a company who has a company sponsored pension plan. Either way, there are countless important decisions that must be made to secure the retirement income security that a pension plan can provide for yourself and for your family in the event of your death. 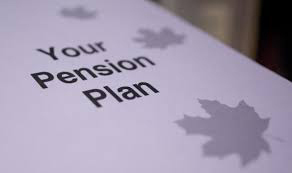 We have many years of experience and the knowledge necessary to properly explain the advantages and the pitfalls of the different options that are available from your pension plan in an unbiased and objective manner. Over the years, we have witnessed individuals receiving advice from a company employee who is responsible for providing guidance and information to pension plan members where the information provided was less than objective and did not provide a complete explanation of all of the factors that should be considered prior to making the ultimate decision regarding the actual retirement option. This has caused some individuals to disinherit their children from one of the largest assets that they had accumulated because they were not completely aware of the survivor options of the pension plan if their spouse predeceased them.